Catalogue > Cities: maps and sights of cities and villages > 4. North Holland > OVERVEEN. 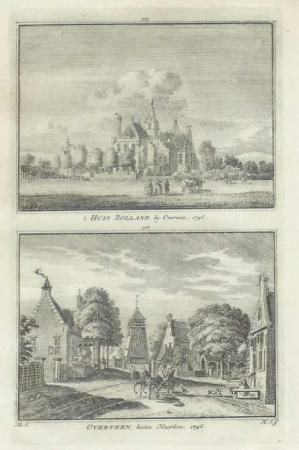 't HUIS ROLLAND by Overveen. 1746. / OVERVEEN, buiten Haarlem. 1746. Hoogte 15,5 cm; breedte 9,8 cm.